It was a couple of years ago when a friend of mine recommended me this album. I was in the middle of exploring all the music out there that was made in the sixties and seventies and I was a little sceptic about music from a more recent age. But this strange band name kept fascinating me in some way and when I saw the album cover with this giant stuffed bear combined with the album title It Still Moves, I decided that this record deserved to be listened to at least one time. 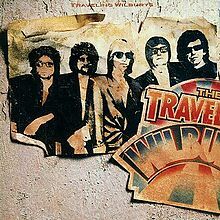 Seventy minutes later, this album had proved that solid rock ‘n roll and beautiful melodies did survive through all those years, I just didn’t search well enough. It was singer-songwriter and guitarist Jim James who formed this American band in Louisville in 1998. He recruited the rest of the band out of the emo-punk band Winter Death Club, where his cousin Johnny Quaid played guitar, Tom Blankenship was the bass player and J. Glenn was on drums. During those early days, My Morning Jacket principally was an alternative country band. This genre came into existence during the nineties, parallel with the upcoming success of alternative rock. It contained a range of musicians that were playing beyond the borders of traditional country. As such, they drew inspiration from country rock (fusing country with rock ‘n roll) pioneers like Gram Parsons and Steve Earle, with themselves opting for a more lo-fi sound. As this new alternative country, lo-fi band, My Morning Jacket debuted in 1999 with The Tennessee Fire, which became a hit in Europe. But it was only with their second album, At Dawn, that their popularity started to grow at home. 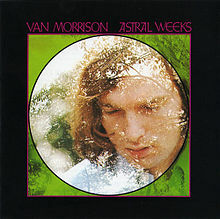 Just like It Still Moves that would follow later on, this album started to show more classic rock influences, featuring more electric guitar sounds than on the previous album. This makes that the sound of the band on It Still Moves always reminds me of Neil Young and Crazy Horse, with its typical screaming classic rock guitars. Another thing that is very characteristic for the album is the use of reverb, continuously producing a lot of echoes throughout the songs. So there we are, comfortably lying in our couch, headphones on our heads and the album in our hands, counting twelve songs. Seventy minutes you said? Yes, the band takes its time to tell their story, but don’t worry, it’s constructed in a genius order. It all starts with ‘Mahgeetah’, a fantastic opening track, which immediately became my early favorite. Why wait with long, drawn-out vocals and powerful guitar riffs in reverb when you can throw them in right from the start while singing about the love for ‘my guitar’, that’s what Jim James must have thought. During the next two songs, James takes us on tour with the band and that guitar. First we hike across nightjails and poolhalls on ‘Dancefloors’, escorted by a sweet guitar riff which is towards the end suddenly supported by a great horn section. But all the touring and dancefloors exhausts us and besides, we are starting to miss the things we left behind. So James makes us a campfire, pulls out his acoustic guitar and lets us dream about golden shores. 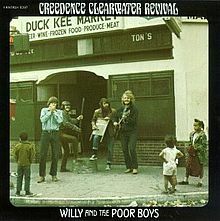 On ‘Golden’, the band returns to the alt-country from the earlier albums for a moment, adopting the style of The Band. We travel further and we end up at the, as the title already presumes, masterpiece of the album: ‘Master Plan’. It seems like Neil Young and his Crazy Horse have hit the empty highway again, surrounded by tumbleweeds and a haunting sunset. James’ voice is the most important instrument here, telling us the best plans end up really sweet, even if it looks like a routine. The classic rock party continues with ‘One Big Holiday’, the band’s greatest hit and traditional encore of every live show. This song is entirely built around its catchy guitar riff, which almost automatically makes you pick up your air guitar. Put away this guitar again and drop into your couch again for ‘I Will Sing You Songs’. On ‘Master Plan’, James sings ‘Just cause it starts off slow babe, doesn’t mean it don’t have a heart’. This really applies to this song, with a long instrumental intro and outro. Beautiful fragile song with a riff that somehow always reminds me of Pink Floyd‘s ‘Us and Them’. After this moment of rest, we salute the ‘Easy Morning Rebel’, with again a very ‘Crazy Horsesk’ jam in the end. We ‘Run Thru’, one of Rolling Stone’s 100 Greatest Guitar Songs, not to mention the fantastic drumsolo in the middle of the song which lets the song explode right again when you think it’s over. Personally, I think the following two songs, ‘Rollin’ Back’ and ‘Just One Thing’, are the least of all. 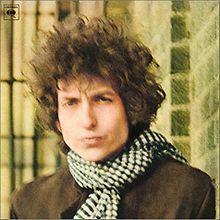 But the album has another peak towards the end, with ‘Steam Engine’ and ‘One In The Same’. The first one, just like ‘I Will Sing You Songs’, mainly is about James’ voice and a basic drum beat, this time accompanied by a softly whimpering guitar and fantastic drawn-out vocals in the end. The final track of the album is another personal favorite. The band is gone, and only Jim James and his acoustic guitar remain in the empty hall, trying to fit the pieces of his mind together again. It’s hard to think of a more beautiful way to end an album as with the line “It wasn’t till I woke up that I could hold down a joke or a job or a dream. But then all three are one in the same”. 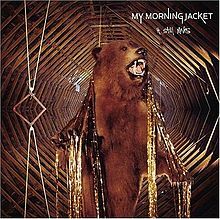 My Morning Jacket continued to make music after this album, widening their sound with all kind of other influences, ranging from funk through reggae. Some members were replaced by others because they couldn’t endure the heavy touring anymore, but don’t hesitate if you ever get the chance to see them live, as their performances are still breathtaking. But start with this album first.